Hey there. It's been a while. 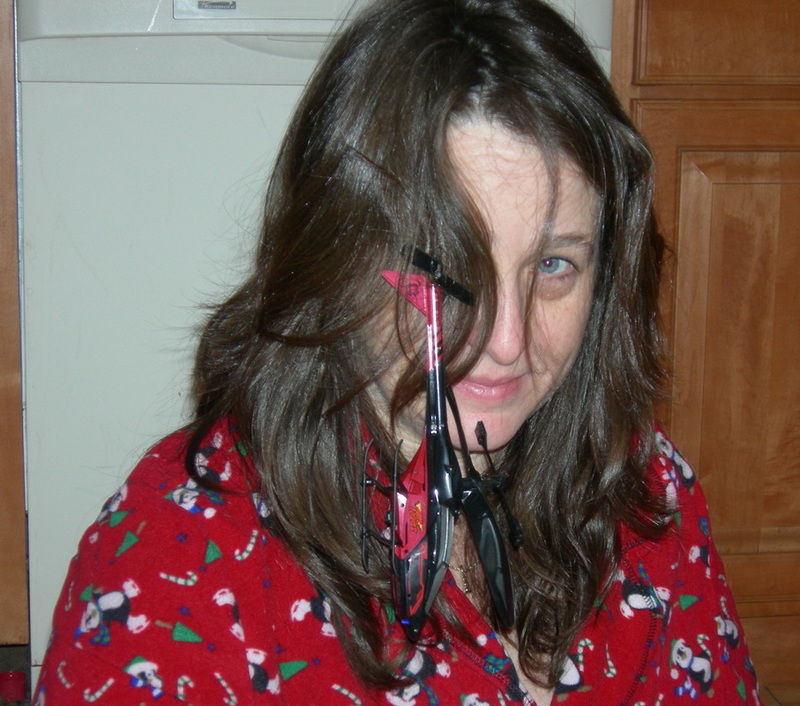 ​Last time I blogged, I thought I knew where my life was headed. 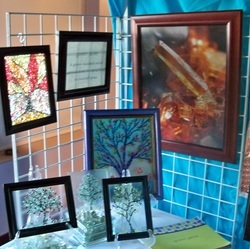 We were selling our glass business and starting a smaller scale repair business that would tie into green janie and allow me to focus more on art and other green endeavors. I was so ready for that change. ​Well, things changed alright, but not in the way I expected. ​We did not sell the business. 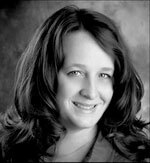 My husband needed to retire for his health so I had only one choice - to step in and take over running the business full time. That is when the art work, the writing and research all came to an abrupt halt. That was nearly 3 1/2 years ago! I never saw myself in this role. Sometimes I love it , sometimes not. But I do it day in and day out. It is not easy. I have help in various ways from great, smart people. We are making it work. You do what you have to do for your family. Plain and simple. I spent a lot of time thinking it was temporary. We'll figure something out. My partner will someday be able to buy us out. This isn't who I am. I'm a mother, part time sales rep, artist, writer, speaker. This thing is just for now. That way of thinking changed somewhere along the way. ​I started to think of myself as someone who used to be and artist use to write a column . ( Like I use to be a bartender and a waitress). I felt like I was letting go of that side of myself. And that sucked. ​Something so sad happens to a creative person who doesn't create. You start to wither on the vine. I had always written but I stopped for the most part. When I discovered my artistic side, it was like therapy. I missed it but could not begin to find time for it. ​Life had gotten really hard. It is too much to go into now, but believe me, it was so overwhelming that I shut down and went into survival mode. I don't say that to elicit pity. Life is a lot harder for many people. It just marks where it all started to come undone for me. I stopped doing so many things - stopped listening to music, stopped exercising regularly, shut out family and friend, stopped going anywhere and doing anything besides what was absolutely necessary. ​Then that changed too. After the death of a young friend; a death that impacted so many people I care about, I knew I needed to change. ​So I'm working on that. And it is coming along (more on that later). Maybe that is what this blog will be - a creative outlet and insight into what, if anything, I am figuring out. ​The name of the blog had to change too, since my green endeavors have taken a back seat to everything else. ​I'm calling it "Jane Says" not that anyone needs to care or listen to what I say. It's just a great old song a college roommates use to sing to me in another life. Call it a midlife crisis - but I'm trying to put a little of that old life back into this one. And I'm not pretending this blog is anything else besides just stuff I say - take it or leave it. Blame Valentine’s Day - but love is on my mind. Specifically who and what I love and the time devoted to them. 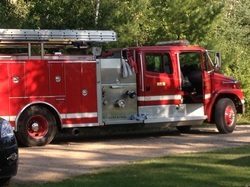 I guess this falls under the prioritizing I have been doing since our little fire last August. I had to make a decision about nearly every item in every room. If I didn’t love it or need it- I wanted to get rid of it. I found out I didn’t love as many of my things as I thought I did. sketching ideas for new pieces, hitting my studio and making it happen. – I really love just experimenting with different colors and texture combinations. I would be embarrassed to tell you how long it has been since I have spent time doing any of that. I think a lot of artist struggle to find balance between activities that feed the family and those that feed the soul. don’t really love anymore. It wouldn’t be practical to quit my job and concentrate on art. Still, if I have to work and work isn’t what I love – I either have to spend less time doing it – or find something that I can love. My job is helping run our glass company. I have really devoted the past 11 years to it full time. It was great in the beginning. I would visit customers, potential clients, market and network. It appealed to my social and creative side. I really loved being a crucial part of building a solid future with my husband. The flexible schedule was pretty nice too. As time went on, I spent more time in the minutia of running a business and less on the things I enjoyed. Gone was the flexible schedule or any real separation between work and home life. Still, I was happy to have an income and accepted the not- so -fun side as paying dues. reasons. It was so good for him that he decided to make it permanent. Turns out he had lost some of the love he once had for the business too. Of course this change piled a few more things onto my plate. Goodbye free time and sanity, hello creative slump. After about a month without him at the shop it dawned on me that what I really loved about our business was my husband. I enjoyed working toward something with him, seeing him during the day, watching him make decisions and problem -solve like only he can. Not everyone can work with their spouse. It wasn’t perfect but we made a good team and I miss working with him. With him home, one more thing I loved about work is gone. Well this is sounding like a fairly sad Valentine’s Day story! It really isn’t. I think it could be the beginning of a whole new love story. Change is on the horizon. I’m excited to see where it leads. So spend today with someone you love and don’t forget to spend time doing something you love. Well, I’ll just leave it at that…. This won’t be my typical blog. I have been so overcome with sadness about the Sand Hook School shooting – as are so many people around the country – I felt compelled to write about it. Maybe it is too soon to talk about healing. It must certainly feel that way for the friends and families of the victims in Connecticut. But I know I need to find a way to deal with it because when I’m down – it affects the whole family. The worried looks from my son and husband tell me I have to pull it together. I have that luxury. This one hit me hard. “This one”. It still is difficult to fathom that “another school shooting” is something we say now. They have all been horrific. The Red Lake shooting in 2005 was not far from Bemidji MN, where I live. It affected people I knew; customers of ours at our glass shop. It was beyond heartbreaking. Still, “this one” affected me more deeply than any other shooting. The little children, Christmastime, the heroic acts of teachers and staff, the senselessness – it all just pierced my heart. It rocked me as a parent, as a daughter of teachers, as a sister. It is madness and I feel helpless. Everyone I talk to is reeling from this tragedy. Of course, any pain we feel can’t begin to touch the pain of those directly affected. Nothing will change what happened of how helpless we feel. Still we need to find ways to begin to heal. We are a nation of doers. We feel better when we can” do something about it” But what? I don’t claim to have all the answers but I hope for rational and realistic discussions about how best to protect our children, our citizens; discussions that consider the entire picture. We certainly need to listen to law enforcement, educators and parents. Their voices and views are crucial to this discussion. Teachers don’t go to work expecting to be in the line of fire in order to protect our children but the Sandy Hook teachers and staff did just that. Isn’t it what we ultimately expect from them when we entrust them with our babies? The very least we can do is to hear their views. Those discussions take time. Change is often painfully slow. What can we do now to begin to find peace? If you have come to this blog as a fellow artist, I have a suggestion: Make something. The creative process can be very therapeutic. If you are a writer, write; a singer, sing; a painter… you get the idea. Pour your heart into a project as a memorial or tribute. Now, I am not naive enough to believe that a little arts and crafts will make everything all better. I am saying that it is way to begin to heal. It is something you can do now. With the help of the café and Bemidji community members, the finished piece will be sent to Newtown Connecticut as a way to reach out to them. To let them know that they are in our hearts. That is no small thing. You don’t even have to do anything as grand. Create, even if it is your own private remembrance. Who knows what will come from it? Art may not be your thing. You can still do something by simply reaching out to people. My parents instilled in us the importance of doing for others. It fosters your compassion and helps you put your problems into perspective. It can also make you feel less alone. You may feel powerless to help the families of Sandy Hook but you can help make a difference in someone’s life right where you live. It could be a friend, a family member or a complete stranger. Look for opportunities. They are out there – especially this time of year. Get down in the trenches as a hands-on volunteer or simply reach out to somebody in a gesture of kindness. Your act may help restore someone’s faith in human kind. It is easy to be overcome with grief and despair; to fear that our world is evil. Yet, there is so much good in the world. Take notice of the good things that people do. Cherish the beauty around you and the compassion you see in others. Let those things begin to heal your heart. A group of survivors from the Red Lake shooting traveled to Newtown Connecticut this week to try to give some comfort to the community. They know they can make a difference because survivors from the Columbine shooting came to give them comfort when they needed it. They are doing what they can do. Cherish your Holiday time with family and friends. 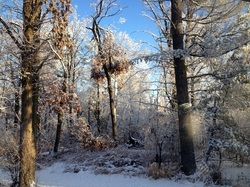 May the New Year bring peace and healing. “Fire is inspirational” said Richard Pryor. He of course was referring to surviving a freebasing incident that had gone awry. 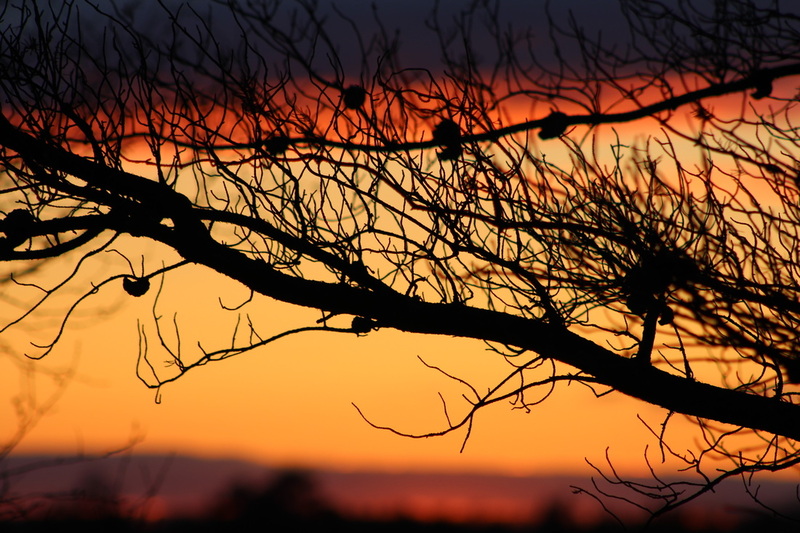 And, though I did not set myself ablaze – I feel the same way about a sudden unexpected fire. 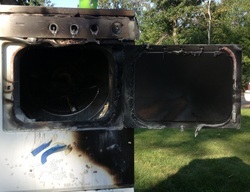 Recently, the faulty electrical system in our dryer set the laundry room on fire. It was minor, as house fires go, but rocked me to the core nonetheless. We also have a HUGE mess! Thanks to an open floor plan and my penchant for leaving doors and cupboards open – much of our belongings were covered in a sticky, dusty grey film. After much discussion with the insurance adjuster, we decided to hire professional cleaners for some of the work but would do the majority of the cleaning ourselves. The good news is, the entire first floor will also be repainted. The bad news is, I am doing most of that myself too. I was excited to paint, at first, and filled with inspiration for every room. After the 4th room out of 10 total areas it started to feel more like a never ending problem than a super fun project. It did inspire me to try to be as earth friendly as possible during the whole fire recovery process. It is pretty easy to be green when life is running smoothly but my greenness has been known to drop on the priority list when life gets hard. The entire summer has been difficult and I have been slacking more and more. I saw this as an opportunity to get back on track. I had hoped to minimize waste and limit the use of nasty chemicals as much as possible. I am determined to use my go-to natural cleaners where I can. That didn’t quite work out in the laundry room. Baking soda couldn’t touch the black soot that was starting to penetrate the sheetrock. We had to go with a pretty nasty chemical that the fire marshal recommended. I put my green efforts into high gear after that to offset any bad vibes we were generating – starting with the recycling system. My old system had me separating everything into bags in the laundry room and tossing recyclables on the floor when the bags got too full. Not a great plan. The image of firemen trampling over cans and bottles as well as flammable paper bags is forever etched into my brain. Since my county only requires separation of fiber from containers – I put only two bins under my sink along with reusable bags. I make a trip to the recycling center every other week. So far so good. My green cleaners have been surprisingly effective in much of the house. It is amazing what vinegar, baking soda, borax and elbow grease can do. Cornstarch is quite little wonder too! It really puts a shine on glass and mirror – two things that are in great abundance in my house. Each time I discover a new cleaning challenge I hit the internet in search of the most echo-friendly solution. I have come across some great information like this link for cleaning leather furniture at DIY Life: http://www.diylife.com/2010/05/05/the-daily-fix-how-to-clean-leather-furniture/ . Note the caution to seek a professional cleaner if you are unsure about any of their methods. Our couch is 9 years old and a bit weathered already so I feel comfortable trying their advice. Why do I have all of these? Fire is scary but some good has come from it. When it was happening all I could think of was my family and our pets. Of course I didn’t want to lose the house but I gave no thought to material things. Full disclosure- my laptop was already in my car and my phone was in my pocket. I probably would have risked my life to save them. Upon reflection I have been able to see more clearly where my priorities should be. Al I cared about was that we were all alive and after that that we still had a home. Taking care of ourselves, each other and where we live should be pretty high on our lists. Taking care of who and what I love and eliminating what distracts me from those priorities is the plan. In the coming months I hope to share the impact of that on my life. For now, I vow to slow down and not be in such a rush that I make careless choices. I also vow to never again leave the house with the dryer running. Insomnia doesn’t hit me very often but when it does I clean and do laundry – like a maniac. Some might say it is the only time I clean but hey, I need something to do on insomnia night. One of thoes nights hit me recently and had me thinking of homemade cleaners I should share on the blog. There are many great “green” cleaners out there these days and some that aren’t as green as they say. I’ve bought many over the years. Now, keeping Health, Earth and Budget in mind guides my shopping decision for the most part. I can’t always get all three, but that is the goal. Most of my favorite cleaners hit the healthy and earth friendly categories but blew the budget. Even those that satisfy all three come with packaging I can't always recycle or reuse. I started looking in ernest for cleaners I could make, that really work. Some are throwbacks to things our grandparents used. I love the idea of keeping it simple and using what you already have as much as possible. I have included some of my tried and true favorites. 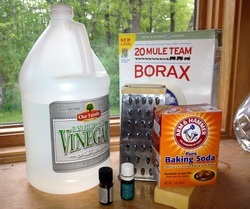 I use baking soda and vinegar for a lot of things - and borax, if something is really tough. Though most would agree that borax is a natural substance, there is a lot of controversy about its safety as a cleaner. That is for you to decide. I have done some research and feel comfortable using it in my home. I wouldn’t eat it, but I wouldn’t eat straight baking soda or orange peels either. I included a link to a great blog called Crunch Betty. She has done her homework and lays out the facts quite nicely. http://www.crunchybetty.com/getting-to-the-bottom-of-borax-is-it-safe-or-not I also found some good information here: http://www.borax.com/pdfs/dist/Profile_Borax_Decahydrate.pdf. If it is safe enough for contact solution – I think my laundry can take it. 1Cup baking soda / 1Cup Borax / 1 bar Castile soap (grated with a cheese grater) Mix together and you have an inexpensive laundry soap that is easy on the environment. No nasty chemicals, no plastic jugs or boxes to deal with. 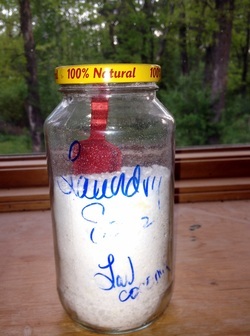 I keep mine in a jar with a little scoop (about 1 Tablespoon) and use 1-2 scoops per load. I sometimes mix in lavender or one of the citrus therapeutic grade essential oils – Health, Earth Budget = clean clothes.. I also add a drop or two of the oils and a dash of dish soap to a vinegar/ water mix for an all purpose cleaner. Tea tree, grapefruit, lavender are my favorites for this. 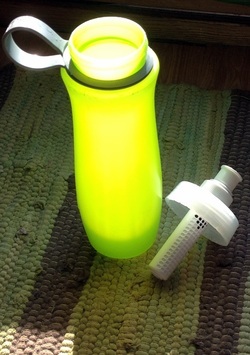 I use a bottle from my recycling bin that fits a standard spray nozzle and away I go. Put orange (or any citrus) peel into a quart of vinegar and wait two weeks (that part is killing me). You mix it at a ratio of 1:1 with water. Put in a spray bottle or a little bucket. I made mine on insomnia night so I have a week to go. In the meantime it looks pretty in my kitchen window. I hope this inspires you to find healthy, earth friendly, budget friendly cleaners. I would love to hear your ideas too. Happy green cleaning! Looks like a jar of sunshine. I can't wait to use it! How green is your green on the go? Are you pea, forest or Kelly green? I stumbled upon this question on www.gogreentravelgreenc.om while planning our family trip to Florida. In a nutshell, pea green people care about the environment but won’t go out of their way to protect it. Forest green people are the greenest of the green, always choosing the greenest possible option. My life is Kelly Green –somewhere in the middle – but I have my forest moments. (Full disclosure, I have had my pea green moments as well). 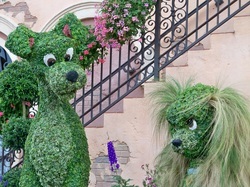 I love the “shades of green” concept. 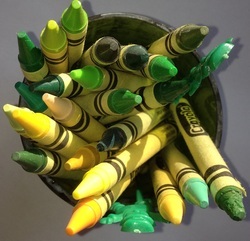 You don’t have to be perfectly green all the time but you can make a choice somewhere on the green spectrum. A better shade of green travel was my recent mission. It is easy to get into a green routine at home but much like my diet, I tend to fall off the wagon when I’m on the road. Flying across the country isn’t exactly forest green transportation but biking from Northern Minnesota to Disney World was out of the question. With a little thought, you can come up with a lot of things to keep your vacation life on the green spectrum. As usual, I became obsessed with greening one thing particular – the dreaded bottled water. In my real life I rarely buy bottled water but I find them hard to avoid when vacationing in hot places like Florida, Arizona or Texas. Last year I brought my empty metal drinking bottle in my carry-on but failed to anticipate that it might look like a small missile on the x-ray machine. Let’s just say security was a bit of a hassle. I could have done without the annoyed sighs, embarrassed head shaking and general eye rolling from my family too. I picked the metal one because it is small and didn’t take up much room. It wasn’t really welcome at a lot of places we went though, since it wasn’t see-through and I could have been “smuggling in liquor”, as a very thorough guard at Bush Gardens informed me. It occurred to me that vodka would be pretty easy to conceal in a see-through water bottle but something told me this guy would have been all over that. In the end, the hotel water always tasted a little too funky anyway, so the whole thing was a bust. This year I found PBA –free Britta water bottles with little water filters in the caps. They were perfect. The water tasted better, we could take them everywhere and I didn’t buy single wasteful, expensive bottled water the entire trip. I also found Platypus collapsible water bottles that would be great for packing light and would look nothing like a missile in your carry-on. What are your green travel tips / experiences? I was bouncing column ideas off my son, trying to come up with a useful green gift guide. He said “I know you want to save the earth and all but green gifts? Not everybody is a Hippie like you.” He is normally very supportive of my sustainability efforts but I am sure he is worried about getting handmade organic wool socks instead of the video game or baseball equipment on his list. He brings up a good point. 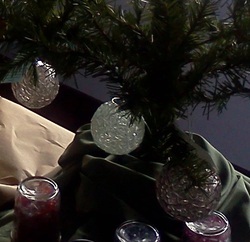 The idea of “green gifts” while noble, may not appeal to everyone on your list. I love to give local, regional, handmade gifts -but if this is not your thing then it’s a gift that’s all about me with little thought about you. Still, a green gift could mean many things. 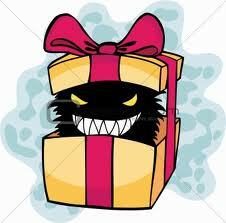 Gift are supposed to be about the receiver but I like to be true to myself. Even if I could afford it, I don’t think I would ever buy someone a fur coat. They may really want one, but I just couldn’t bring myself to buy one. Fortunately my finances rarely present me with this kind of dilemma. I try to find gifts I think people will appreciate while staying true to myself. I do this by focusing on one main thing - reducing waste. This is a driving force in my art and the way I try to live my life. Creating less trash is important to me, so my gift giving should reflect that. The amount of trash that is generated from November through January has to be monumental . I am sure the landfills are overflowing with ribbon, wrapping paper and cheap plastic toys that didn’t even make it to New Year’s Day. My organizer friends have probably uncovered mountains of unwanted gadgets and things stuffed into closets too. I think a lot of this is the result of lazy gift giving. We often buy out of a sense of obligation or competition without any real thought to what the recipient really wants or needs. My mother-in-law gave me a gift certificate to my favorite gift store (and one that sells my work as well as many local artists) This store is a little out of her comfort zone to say the least. This gift said to me “ I went out of my way to support you and what you like even though I don’t quite get it” I love that! Another friend gave me a gift card to the local movie theater because we always talk about catching a movie and never seem to be able to get together. That gift said “I think about you even though we don’t see each other often. Let’s make time to go see that movie” And we did! This type of gift giving may take a little more thought but it is worth it. Still stumped? What about a gift of service? How about food? Everyone has to eat. Homemade goodies, a night at a local eatery, food baskets, or a bottle of wine may be just the ticket. Don’t forget about Charities. It doesn’t necessarily have to be a “donation was made in your honor” gift. This year I gave a gift to one family member that benefits a charity that is important to another family member. I can’t give it away just in case they happen to read my blog. Reading your family member’s blogs should be mandatory shouldn’t it? That's a gift that keeps on giving! I hope this helps you with your last minute your gift giving. Have a Merry Christmas, Happy Holidays, And Happy New Year! The “Shop Local” and “American Made” movements are drawing new customers to handmade items this holiday season. Many of the people who attended the Opener Art Festival were looking for locally made gifts and especially appreciated the many vendors using up-cycled materials. That was fun to see. It is a wonderful trend, though it may require a bit of reeducation of the shopping public. While they might desire unique handmade items, many are used to big box retailers and used to that price point. Hand-made could evoke both culture shock and sticker shock. Most artists I know struggle with pricing. You can price according to time and materials but how do you price appropriately for things like creativity and beauty? Some projects require so much time they could elicit a small fortune if you paid yourself by the hour. Doing my homework includes: knowing the market, the venue, consulting with other artists, friends and gallery/shop owners. I often go to Etsy or Artfire and search similar products. Even with all of this, guessing comes in pretty handy too. It is important to know the real costs you have into your work. Consider things like, insurance, marketing pieces, show fees, commissions, and packaging as well. While all artists struggle with this, repurposing artists also have to overcome the perception that working with discarded items means you have no costs to consider. Some people really get the cool factor and are willing to pay for it. They want beautiful handmade wool mittens that were once a sweater. They feel good about a purchase that keeps trash out of the landfill. Other people like the idea but feel that your materials are free – therefore your work should be cheap. Consider the work it takes to reclaim/salvage “trash” into useable material. I can’t just scoop broken glass up off the floor, hand it to you and call it art or a functional product. If you consider time and supplies needed to convert trash into a usable medium you could have more money into that than any ready-made material. This year I made 6 beautiful, sparkly, glass ornaments for the Art festival. I love them. They were a lot of work but the result was worth it. I heard a few times that my ornaments were priced too high. I did my homework, considered my costs and landed on a fair price. They were admired by many and bought by no one. I considered keeping them for myself but overall sales were a little slow this year, so I ultimately lowered my price. I sold 3 but still heard “too expensive for an ornament” by a few a customers (as they whispered the name of a big box store where you could get half a dozen ornaments for the price of one of mine). I could have explained that they can definitely stretch their ornament dollars by going to the big box and buying the same ornaments that everyone else has – mass produced in china and now available in unbreakable shinny plastic (blech). I have no interest in competing with that. That isn’t what I sell. I sell one-of-a-kind, handmade, glass-on-glass mosaic ornaments made from reclaimed tempered glass pieces. I painstakingly pieced hundreds of glass bits together taking hours and hours for each ornament. The process I use makes the ornament far less breakable than the traditional glass ornament. Each one has a back story. 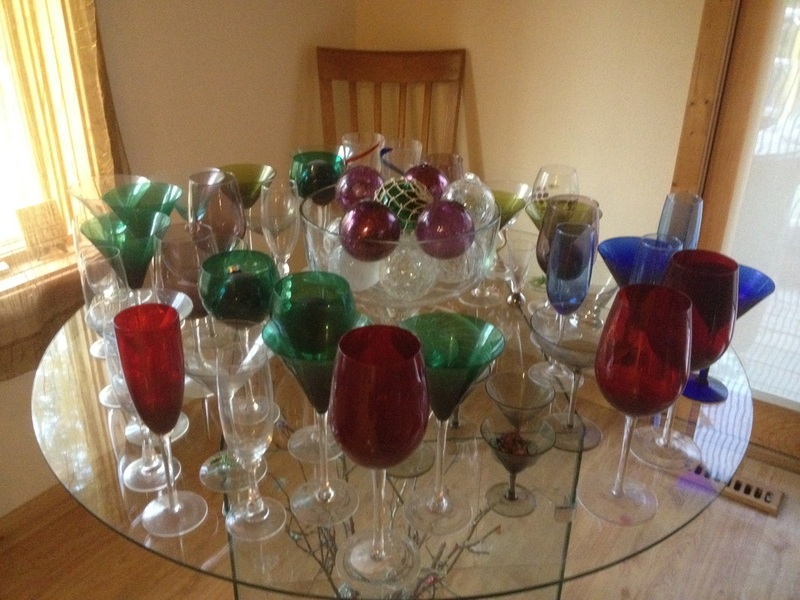 The green ones, for instance, were made from glass I salvaged when my own car window was broken. The real story is the message: what was once broken and thought useless can reemerge as something beautiful. But hey, that’s not what they were looking for. Or was it? I guess I will never know because I didn’t take the time to properly tell the story. The lesson: If part of what you are selling is the story – tell the story. The tags explained a little but an art fair setting is not conducive to leisurely reading. We talked a little about the materials and process but missed the magic. I need to rethink my presentation. I wasn’t thinking someone would outfit an entire tree with these orbs. I hoped to sell them alone or in pairs as a special gift. What if I had told them the right story? Perhaps someone on their list has felt broken and is trying to rebuild their life. This ornament would have been a perfect sentiment for that. Overall, the day was great. I noticed people looking for gifts versus buying for themselves. Let’s hope many people find a special handmade gift under the tree this year. Update: Before I even had a chance to post this I received an order for 12 of the ornaments from someone who just really loved them!! 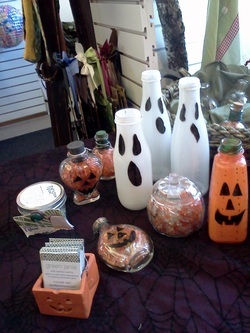 I made ghosts and pumpkins from bottles and some paint during my day at Bad Cat Creations Gallery and Gifts for the 2011 Studio Cruise. pictured along with some of my other re-creations. The Opener Art festival is this weekend! This was the first Art fair I ever did and am happy to be here for the second year. I learn so much each time I do a show or art fair. The best parts are talking to people about what I do and why and having great conversations about sustainability. I love hearing that I have inspired people to rethink what they throw away. It’s my favorite. And selling my work is a huge thrill! I am always looking for ways to improve my presentation and help customers have a better experience. There are many lists out there for both festival goers and vendors on how to have the best experience that have been very helpful for me. I have learned much from other vendors at the shows I’ve done too. #1 Be comfortable and take your time to see everything. Make sure to talk to the artists and really get the most out of your experience. #3) Bring your own bag. If artists don’t have the expense (and *ehem* the big waste) of supplying bags they don’t have to include the cost of the bag in their pricing. #4 Please don’t take offense if artists refuse to give you proprietary information. These festivals are filled with predatory crafters on the hunt for something new that they can copy and sell. It is understandable for vendors to be protective; they are trying to make money with their craft. It is a lot of hard work. If you are truly interested - a better way to approach it might be “I would love to learn to do something like that. Do you teach a class?” or take their card and contact them at another time. If you are and artist yourself, perhaps you can work out a trade of information. #2 you don’t need advice from me – I’ve only done a few of these and you can find many blogs and articles on ways to be successful and have a good time. Ok, that’s #2 Have a good time! You put a lot of time, money, blood, sweat and tears into this – you better have a good time doing it. I know I will have good time because my sister is coming to help me and keep me company and we always have a good time. If you are in the Bemidji area this weekend, come see all of the talented artists at the Opener Art Festival. Have a little lunch, a little wine and lots of shopping. Sounds like a great way to spend a saturday. May through August are normally the busiest months in my “real job” at the glass shop. So far this September has them all beat. It's like living in the eye of a storm. We have been short staffed for three weeks which adds duties to my jam packed days. To add to the fun, I teach Continuing Ed classes on Ethics and Auto Glass Safety to insurance agents this week. It takes an incredible amount of prep and detail to coordinate. Ideally I should have cleared my schedule for the last two weeks and concentrated on this one thing only. But that isn’t how I role. This is why I enjoy art projects so much. There is always something to do, always something in the works. I get a little down in the dumps when I have neglected my work for a while. As soon as I get back to it I feel that familiar surge of joy and come up with 10 new ideas. I have several fun things in the works right now. My two talented friends Trish Barthorpe http://www.photobytrish.com and Jill Bitker http://www.netzersfloral.com and I are the featured artists at the Cabin Coffeehouse and Café for the month of October. Our collaborative show, “Autumn Inspirations” is going to be fantastic. We are doing some interesting interpretations of the change of season with flowers, broken glass and photography. In my spare time I have been working on pieces for that show but there is still so much to do. This Thursday is Pecha Kucha Night in Bemidji! Have you heard of it? It is a fun, faced paced storytelling/presentation event done all around the world. Bemidji is one of the two cities in Minnesota to put them on – Thanks to my other talented friends, Samantha Nienow and Eric Evenson. This link will give you better details: http://www.pknbemidji.org Check out this link to see if there is one near you: http://www.pecha-kucha.org . I have the extreme honor of booking artists to display work at PKN Bemidji. I love this duty so much. It is such a nice way for artists to get more exposure and I get to meet so many creative people. Come check it out if you are in the Bemidji area on Thursday. This past weekend was all about preparing for my classes. Still, I found a little time to work on some glass pieces and make spaghetti sauce from tomatoes my husband grew in his garden. 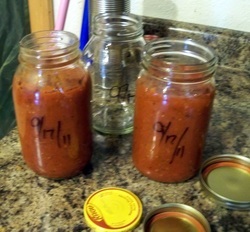 It did my little green heart good to reuse a few jars and freeze some of that sauce for the winter. What else? Oh yeah – my son turns 12 Wednesday! 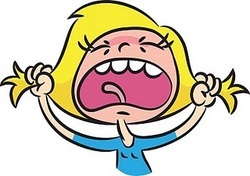 Must make a cake, buy presents… candles, I need candles. I already blew school picture day and canceled plans to go to a football game with him so I really have to pull it together on the Mom front this week. An advantage to being hurricane Jane is never being bored. I think I equate bored with lazy. When we were kids, if my sister and brothers and I uttered the words “I’m bored” to our parents, we immediately received a broom, rake, shovel… in our hands and spent the next few hours wishing we had kept our mouths shut. If only we had tried just a little harder to entertain ourselves. Maybe that’s it! I keep myself as busy as possible so no one ever makes me mow the law. It’s working too.